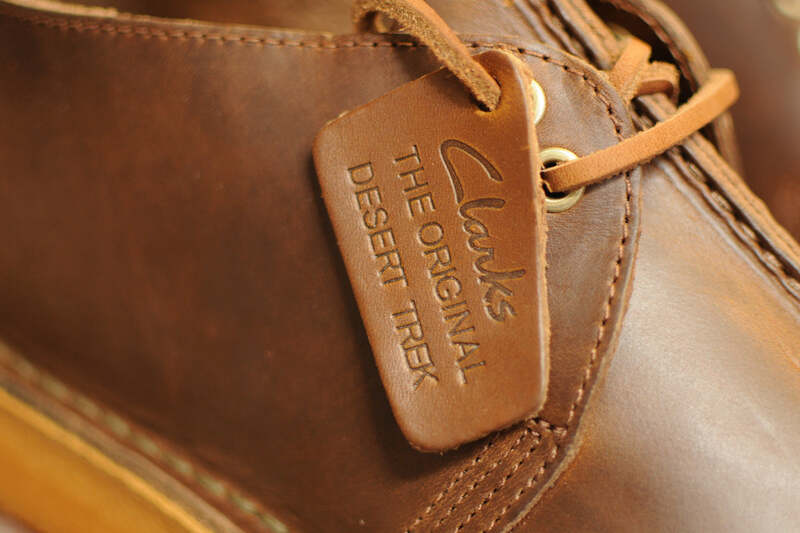 The Clarks Desert Trek returns in a premium make-up. 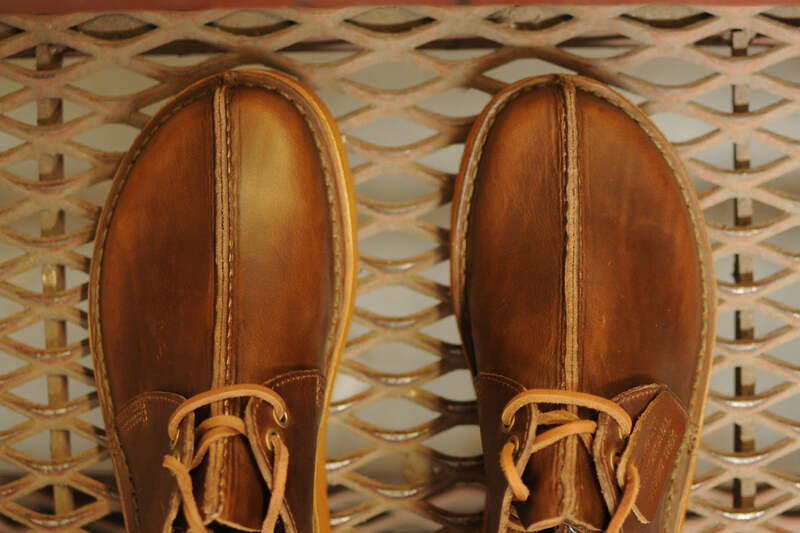 The upper is crafted from Horween chromexcel leather, which dates back around one hundred years. 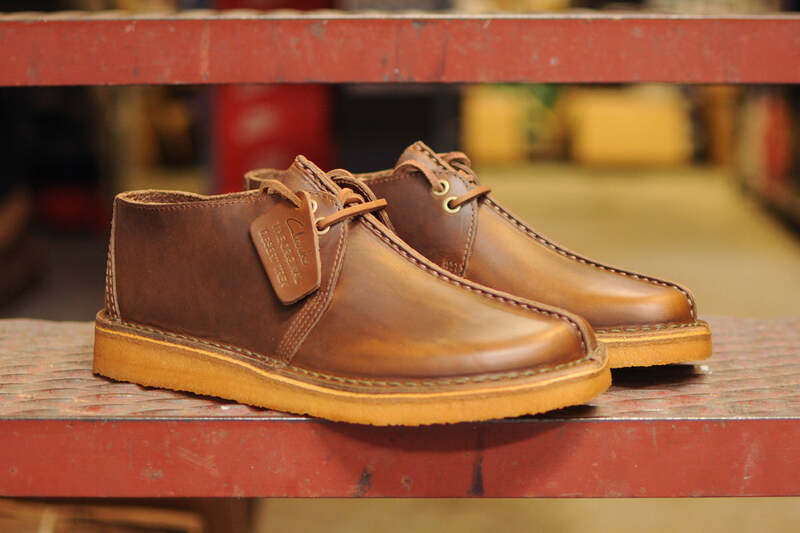 This waxy leather from the Chicago based tannery is both supple and robust, and is perhaps the best demonstration of their tanners skills. 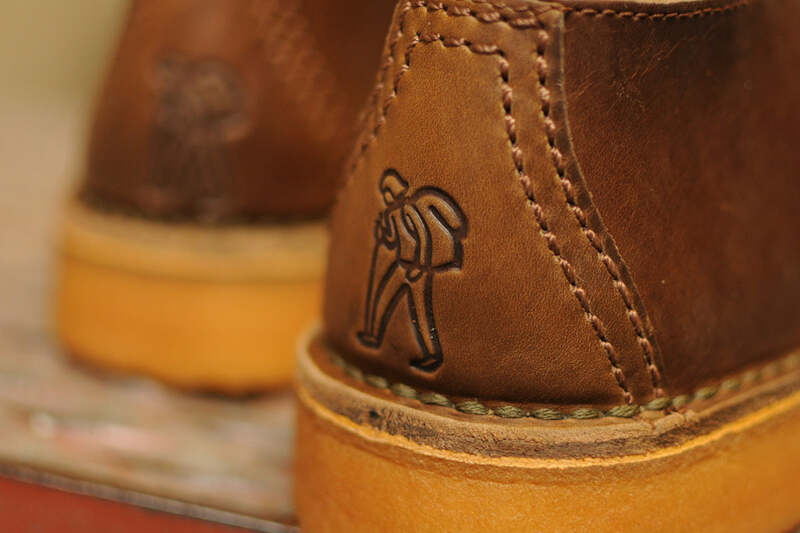 Leather tong laces complete the upper, which sits upon the quintessential Clarks crepe sole-unit.